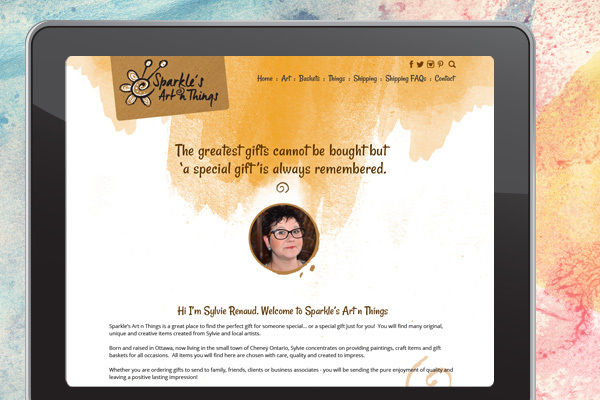 Sparkle’s Art N Things is a new business serving the Ottawa East area that handcrafts beautiful, unique gift baskets, party favours, and fine art. Owner Sylvie Renaud had a very specific look in mind for the branding and logo she wanted. The logo needed a hand-drawn feel to it, so I brought out my charcoal and chalk, and drew many shapes until just the right ones emerged. 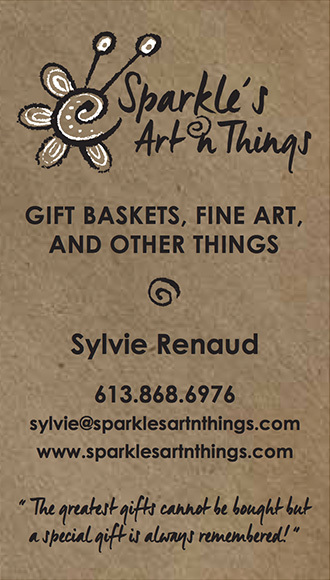 The business cards were printed on brown Kraft paper, and they also serve as gift tags on the baskets that Sylvie creates. The website needed to be a full e-commerce online shop, but still evoke the same handcrafted look and feel of the brand. 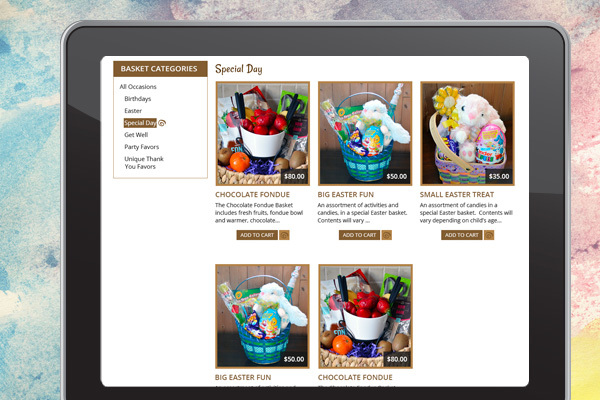 One of the aspects of Sylvie’s business that separates it from the rest of the gift basket companies, is that personalized, friendly feel. This was portrayed in the website as well.